From the Beginning: What is a source? 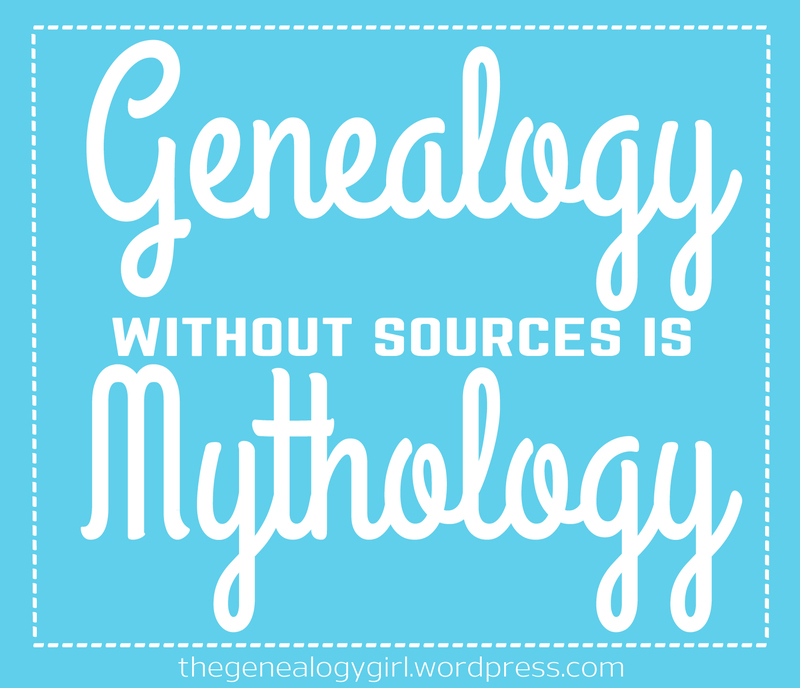 Whether you are just starting out or you are a seasoned researcher, sources are essential to good genealogy work. When we list facts about a person that include items like: their name, birth date and place, marriage date and place, death date and place, these are conclusions. We draw our conclusions from various sources. In the graphic above I explain that there are primary and secondary sources. A primary source is a record that is created at the time of an event with the information coming from someone with direct knowledge of that event. A secondary source is a record that is created after the event or by someone less closely associated with the event. In the examples I list, there are some items that could be either primary or secondary depending on the circumstances surrounding the creation of the record. For example, a census record is listed as a primary source but if the census taker had to ask the neighbor for the info that moves it from a primary source to a secondary source in a hurry. Primary sources are best. Be careful to understand what types of sources you are relying on when you draw your conclusions. Search for as many sources on each person as you can find. The more sources you use, the more accurate your conclusions will be. If you want to read more about sources, this article has some good basic info, and this article goes pretty deep and includes information about original and derivative sources. Good post. (And I love the graphic diagram!) It is also always worth remembering that not everything on a primary source is accurate either. People are people and they make mistakes, or try to hide their indisgressions. Plus not everyone could read and write to be able to check that the person writing down their information on a certificate etc had it written correctly, plus think of who the informants are – case in point with a primary source becoming a secondary source is with death certificates. Whoever was the informant of the death can only give what information they know about a person, so could be wrong, or certain details incorrect. But like all sources, primary or secondary – they should be used as a guide and not as gospel truth. People pretending they are a different age when they are getting married (either to be old enough to marry without consent or to cover a big age gap between spouses), pretending to be married when registering the births of children when perhaps one of the couple was already married to someone else. So many things to consider – but perhaps that is one of the reasons I enjoy it so much! Yes to all! I always tell people to use the legal principle of the ‘preponderance of evidence’. Gather up as many sources as you can and compare the details shared on every source to help you decide which conclusion is most likely accurate. How true. And so succinctly expressed. Everyone should be able to pick up a tip or two.